People have called me a print hater because of my Perfect Bookstore/Bookstore of the Future posts. Print will change. It will evolve. It will not (nor should it) die. Wanna know why print will not die? That’s the inside. All of it’s done that way, as in, the entire series. 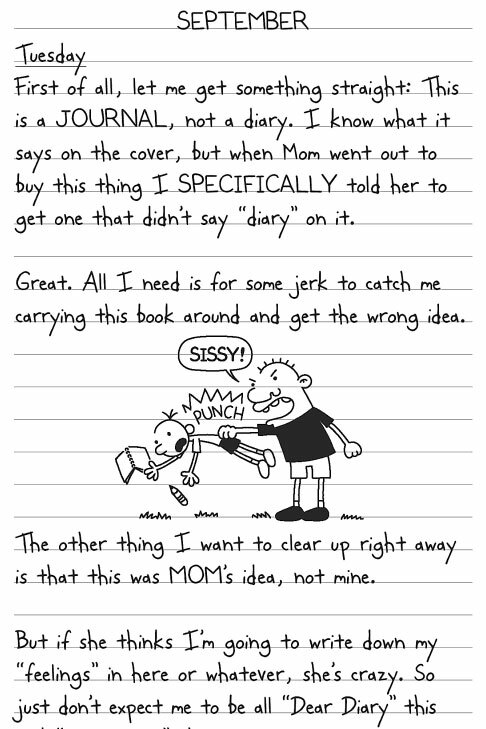 What’s better is that book 5 is a workbook-type of thing that encourages the reader to write in it, draw his or her own comics, and generally interact with the characters of Wimpy Kid in a way most children’s/middle-grade books don’t. 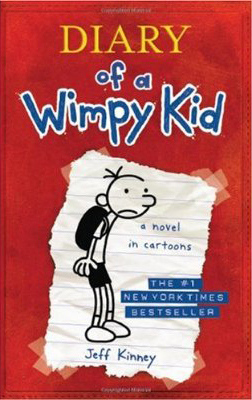 There is no way I would have bought this series in digital format. See, I like paper. I like pretty paper. I like deckle edges and the feel and *gasp* the smell of paper. I like it when a publisher has gone to a lot of trouble to make the book itself an object of art. I want to pet those books and put them on display. I like to buy my favorite authors in hardback (heavily discounted). I like to collect pretty books and display my favorites. But brick-and-mortar bookstores in their current incarnation will. There will spring up a new sort of brick-and-mortar bookstore (maybe not even close to the one I think about constantly) that will deal in niche print books, the stuff that can’t, won’t, and shouldn’t be digitized. It will become the good china you use for Thanksgiving and the gorgeous cocktail dress you wear to those really important mixers.